Miranda Everitt has focused on her research on climate and clean energy, conservation, and drug policy. Her work has contributed to the passage of state and local ballot measures in Arizona, California, Colorado, Florida, Maine, Massachusetts, Minnesota, Missouri, Montana, New York, Oregon, Texas, Utah, and Washington. Miranda also has experience in municipal finance research for dozens of cities, counties and school and special districts throughout California. In 2018, Miranda was on the team that won the entire progressive slate of Oregon ballot measures — including rejection of a misleading measure that would have banned “grocery taxes” and another that would have repealed the state’s long-standing status as a sanctuary for immigrants. Since 2015, she has contributed research on campaigns to allow medical or recreational marijuana in seven states, and helped local governments approach taxation and regulation of this new industry. 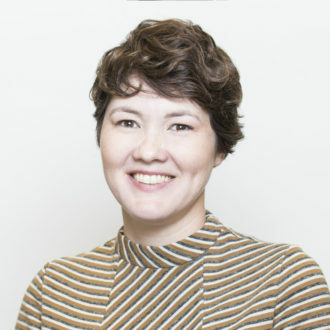 Miranda came to FM3 with experience in communications and policy research at California Budget and Policy Center, SEIU Healthcare MN, Chief Justice Earl Warren Institute for Law and Social Policy, Justice in Aging, and the Alameda County Community Food Bank. Prior to her policy career, she worked for the Oakland Tribune, San Jose Mercury News and Toledo Free Press. Miranda holds a Master’s of Public Policy from the Goldman School of Public Policy at UC Berkeley and a journalism degree from Bowling Green State University in Ohio.